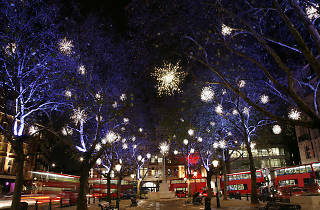 Sung Kuk Kim Christmas Lights Display on Sloane Square in Chelsea. The Christmas countdown has begun and with it comes lots of decisions around wishlists, who you’re visiting on Boxing Day and how you’re going to use your annual leave so that you can sneak in a quick city break too. But what if we told you that one of the best places to celebrate the holiday season is right here in London? Flower specialists Bloom & Wild have got us in the festive spirit by revealing their list of the world’s ultimate Christmas cities, with London ranking at an impressive fourth place. Some of their top picks for the capital include ice skating at Somerset House, browsing the markets at Hyde Park’s Winter Wonderland and having brunch in the stunning Dolloway Terrace. Helsinki came top of the Christmas cities, followed by Quebec, Berlin and then London. Other spots that made it into the top ten include Salzburg, Copenhagen, Edinburgh, Montreal, Prague and Dublin. The list was compiled using information like the cost of a six-foot tree, the average snowfall, the price of an average Christmas Day meal and when the Christmas lights start switching on in each location. So now that the Oxford Street lights have been switched on, that cosy jumper your nan knitted you is making its annual appearance and mince pies are being stocked in the shops it’s time to totally immerse yourself in all that London has to offer at this time of year. Sticking around this year? 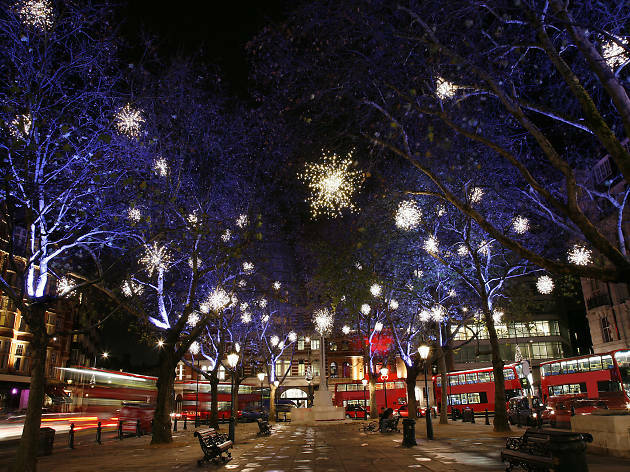 Here’s our guide to Christmas in London.